Press Release (ePRNews.com) - NEW YORK - Oct 02, 2017 - The second installment of Mobilizing Our Brothers Initiative’s MOBItalks will gather gay black men in the New York City area for personal and professional development sessions on Saturday, Oct. 7 at the Bronx Museum from 10 a.m. – 4:30 p.m. Founded by award-winning advocate, DaShawn Usher and peer-led by a group of black queer men, the Bronx edition of MOBItalks will feature moving talks with DBQ Magazine founder, David Bridgeforth; writer and creator of RaceBaitR, Hari Ziyad; writer, Michael Arceneaux; and actor, Rico Pruitt. The Bronx edition of MOBItalks is the second in a three-part personal and professional development series taking place in the city. 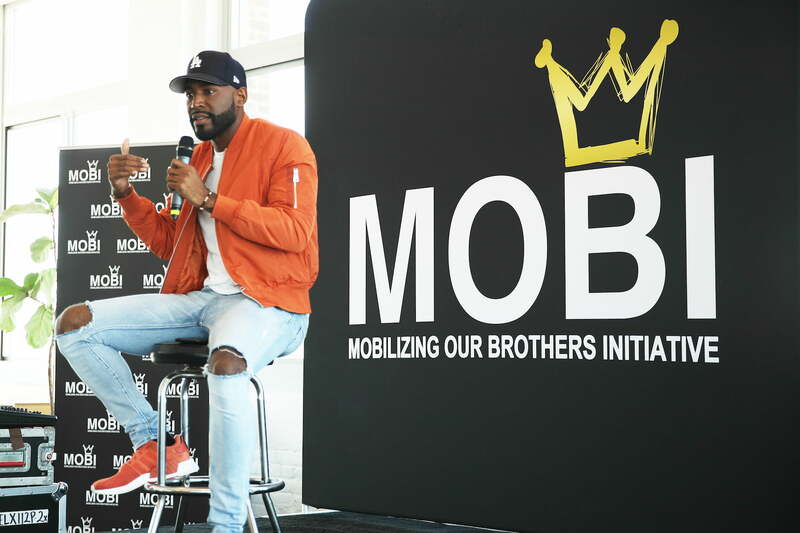 The first MOBItalks event took place in Brooklyn with Emil Wilbekin, Karamo Brown, and Richard Brookshire who spoke about self-care, personal identity, and sexuality. “As a black gay man, to be in a space where black queer people are having conversations about what’s affecting us and how we can support each other – sign me up every single time,” says Karamo Brown on his involvement with the platform. “I want to make people understand that who we are is our power. Mobilizing Our Brothers Initiative (MOBI) was created in response to the lack of spaces for black gay men. MOBI offers a platform for these men to speak authentically about issues that directly affect them and allow them to form connections. “Being able to connect black gay men across many different social classes, different education levels, across different ages, is the biggest thing I know that I can offer to the community,” says Usher. MOBI exists as a space to take the time to assess where you are in life and realize that there’s a community that’s growing and exists. Following the first MOBItalks, MOBI serves as a bridge to connect guests to other avenues and services that are available to the community. Attendees will be able to participate in personal and professional development sessions, stock up on essentials from Harry’s, take professional headshots by Steven Duarte and Welthē images, and screen for various services throughout the day including HIV, STIs, PrEP/PEP, health insurance, and primary care at each event. To learn more about MOBI, please follow “MOBINYC” on Instagram, Facebook, Twitter: @MOBI_NYC, and visit mobitalksbronx.eventbrite.com and www.mobi-nyc.com to register for events. MOBI is a series of curated social connectivity events for Black, gay and queer men to see their holistic self. The initiative seeks to cultivate the black, gay community through MOBItalks, a three-part personal and professional development series in Harlem, Brooklyn, and the Bronx. In celebration of Black queer excellence, MOBIfest is a four-day citywide festival set for May 2018 that gives voice to the convergence of interactive arts, film, fashion, and music in Black queer culture. The initiative is funded by the New York City Department of Health and aims to promote health and wellness amongst black gay men.